We are located in Thamel (city center), Kathmandu, 3.5 KM far from Tribhuvan International Airport. 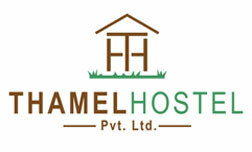 The Thamel Hostel is Budget Hostel in Thamel, Kathmandu. Our major purpose is providing the budget room & Bed for backpacker travelers in Thamel, Kathmandu. We are offering hostel accommodation at affordable cost to budget travelers. We are located in center Thamel, Kathmandu; which is 3.5 KM from Kathmandu International Airport. Get an impressive view of the natural beauty of surrounding Kathmandu Valley from our roof top. Here you will always find the best of Nepali hospitality and we swear of a peaceful night sleep without any noise from nightlife. The Thamel Hostel is providing Bed & Breakfast with frankly service & our Hostel is built for budget travelers from around the world which is suited with international hostelling service & policy. Our Bed & Breakfast service was conceptualize with an aim to offer a complete hostel service for those clients who visit Nepal for shorter or longer duration to complete varied purposes. Our major purpose is providing the budget rooms & Bed with Breakfast for backpacker travelers in Thamel, Kathmandu. The Thamel Hostel has neat & clean One 6 bunk beds room for ladies who want privacy, One 8 bunk beds room, 1 Four Sharing Beds Room, 2 private deluxe rooms with attach bath, 3 common triple bed rooms & 2 double private rooms. We are always looking for to provide clean rooms & comfortable beds to our clients. On our all rooms & beds rate included Breakfast. Our Hostel (Bed & Breakfast) is a leisure place for trekkers, cyclists, volunteers and all kinds of travelers. The Reception & Lobby with large space where our mini bar located with comfortable sofas & bar table you could enjoy on our bar with local & imported drinks with free wifi.